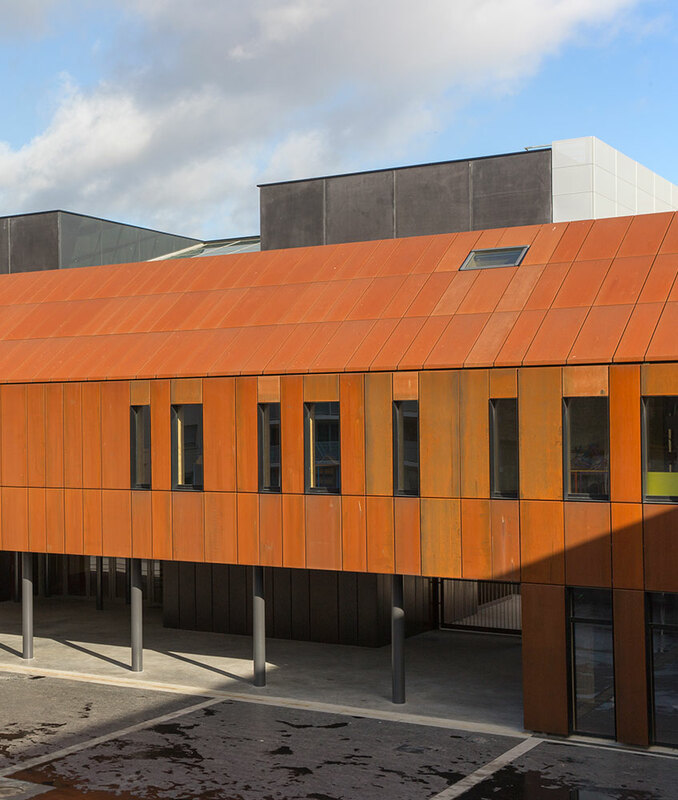 The use of Indaten® weathering steel makes a significant contribution to the distinctive appearance of Pôle Molière, a multi-functional education complex in the north of France. Maintaining the strong historical character of the existing stables. The advantage of this natural environmental oxidation is that no chemical treatment is needed and corrosion is prevented, guaranteeing that the steel will have a long service life. “The Indaten® cladding does not require any maintenance or special treatment, which has both practical and financial benefits,” adds Anne Bettinger. A structural steel that is highly resistant to atmospheric corrosion, Indaten® forms a protective patina that changes depending on the environmental conditions.